The Background Over the last years, eBay Classifieds Group (eCG) was able to start raising its claim on the entire classifieds advertisement market in Belgium and the Netherlands by strategically acquiring key players in this field. In 2004, eCG acquired Marktplaats, the leading classifieds website in the Netherlands and 2013 the two Belgian classifieds advertisers 2dehands.be and 2ememain.be were sold. During the latter transaction, IEG – Investment Banking Group has acted as exclusive financial advisor. The Deal Schibsted, Kapaza’s sole shareholder, has decided to close Kapaza. Selected assets such as the domain and the URL were sold to eBay Classifieds Group for an undisclosed amount. These sold assets will be transferred to the brand 2dehands.be which will be able to provide its private and business users an even better offering in Belgium. IEG – Investment Banking Group has acted as exclusive financial advisor to Schibsted ASA, the sole shareholder of Kapaza. The Partners Kapaza is a leading classifieds site in Belgium which was founded in 2003. Schibsted Media Group is an internationally operating media group with 6,900 employees in 30 countries. Marktplaats BV is one of the first websites with a focus on classifieds. The page has 2.1 million daily visitors and offers new and used products and services. eBay Classifieds Group is an innovative market leader in the digital classifieds sector and consists altogether of 12 brands. The Perspective By acquiring some key assets of Kapaza, eCG can continue to expand its position in the classifieds markets in Belgium and the Netherlands. Petra Baeck who is Head of the Marketing and Customer Services department at 2dehands.be emphasizes that the acquisition of selected assets of Kapaza is an important factor that contributes to the strategy to create the most relevant and efficient sales platform in Belgium. 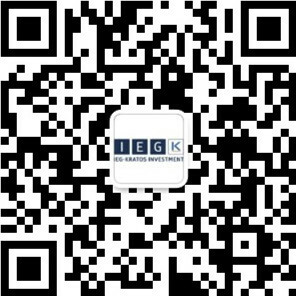 IEG – Investment Banking Group has proved crucial in the transaction, providing top notch support through out the entire transaction. Driving the process in close cooperation with us as sellers, local management and other advisors.